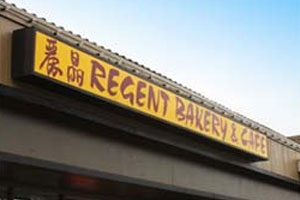 Regent Bakery and Cafe in Redmond is famous for delicate Chinese pastries, delicious cakes and traditional Chinese dishes. Their Black Forest Cake was the inspiration for the reward cake in the video game Portal! Regent features delicious traditional Chinese recipes as well as all kinds of tea, bubble tea, and coffee. Stop by and visit, enjoy the one stop shop for sweets, lunch or dinner, and pick-me-up drinks of all kinds.